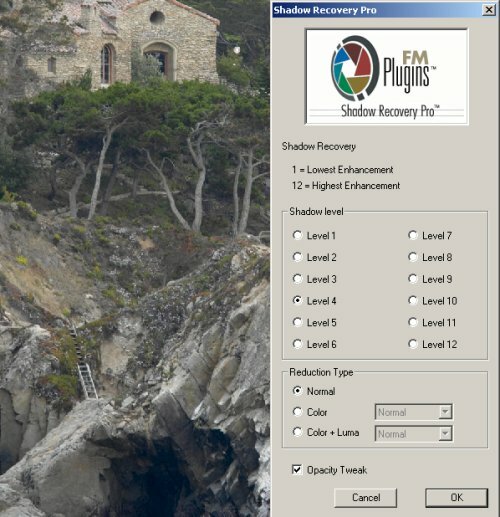 Kind of interesting that just at the moment where we looked into a good shadow recovery solution for Photoshop Elements 2.0 we got aware of Fred's plugin. Digital files (especially low ISO) can hold quite some useful details in the shadows. We also find that many photos can benefit from revealing more shadow detail. But even in the full version of Photoshop this task can be challenging. 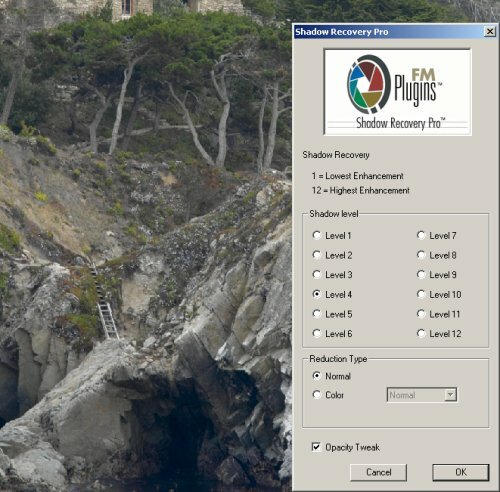 Fred's plugin makes your life easier at a very reasonable price and also does not leave the Elements users alone. Note: right now only available for Windows but that will change in a few days. We think this shot can benefit from opening up the shadows. We use this time Elements to demonstrate the new plugin (works the same in Photoshop, we mention one minor difference later). 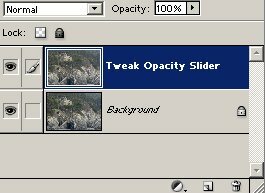 The SRPro plugin supports 12 levels of shadow recovery and we think that 4 is good enough for our image. 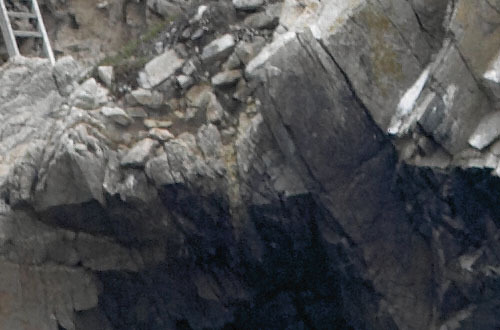 This way you can use a stronger level of shadow recovery and then later turn down the opacity to tune the result. As you can see SRPro does a very fine job here. 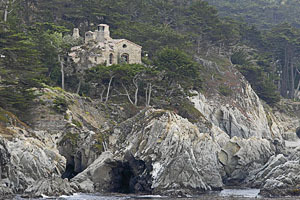 We actually would like to enhance the overall contrast of this image and this would darken the original file even more. If you first use SRPro (maybe even at higher levels) you get more room in the shadows for contrast improvements. As you can see the shadows are darker again. But the shadows behave much better with the use of SRPro. We consider Fred Miranda's SRPro an essential tool for the important task of shadow recovery at a very fair price of $19.50.